Great jersey for a great cause. A bit expensive though. The 2016 Chapecoense third shirt is widely available outside of Brazil for the first time, allowing fans to show their support for the Brazilian club and to support their rehabilitation. Umbro have worked with their Brazilian partners and the club itself to make a limited number of shirts available worldwide, with all proceeds going directly to AssociacÄo Chapecoense de Futebol as the club looks to rebuild following the events of November 2016. Following the devastating plane crash involving the club as they flew to their Copa Sudamericana final in Colombia, Umbro have been inundated with requests from people looking to purchase shirts to show their support for Chapecoense and to raise funds for the team. 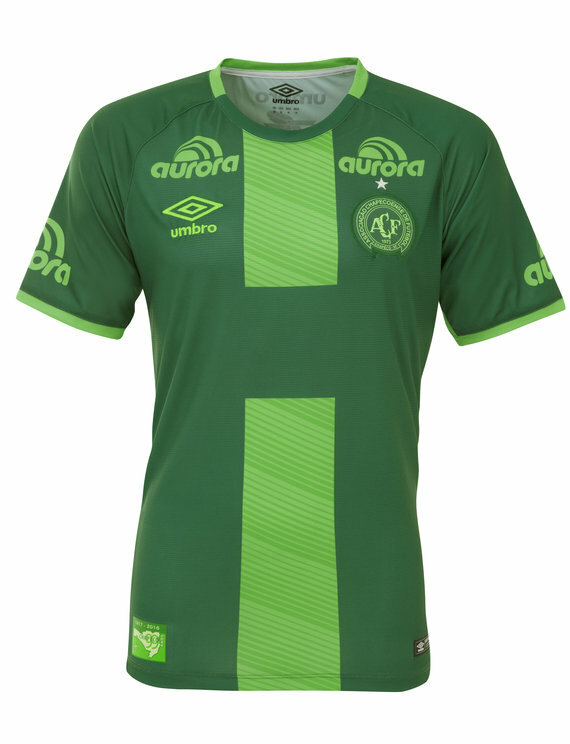 The Chapecoense 2016 Third shirt, which the club were due to wear in their game against Atletico Nacional in Colombia, is now being re-released so that fans can recognise Chapecoense and make a significant contribution to the team’s future. Umbro are also working with the club and our Brazilian partners on further events throughout the year as part of our continued partnership with the club. All proceeds from the shirt are going directly to the club.